Planning a trip to Shirakawa-go for an amazing autumn or winter experience? This first timer's travel guide to Shirakawa-go will provide you with useful and easy-to-follow information on how to get there, itinerary, where to stay, and a lot of travel tips and reminders. A UNESCO World Heritage Site declared in 1995, Shirakawa-go is a small traditional village famous for its clusters of traditional gassho-zukuri farmhouses. Along with Gokayama, this amazing cultural property is consisted of scenic and secluded mountain villages that spans from Gifu to Toyama Prefectures over an area of 68 hectares in central Japan. "Gassho" means the act of prayer and the highlight of the village is seeing the farmhouses with gassho-zukuri roof, whose slanted thatched roofs resemble hands in prayer. They are architecturally designed to easily shed snow from their roofs during winter, some of which are more around 100 to 300 hundred years old and have stand the test of time. 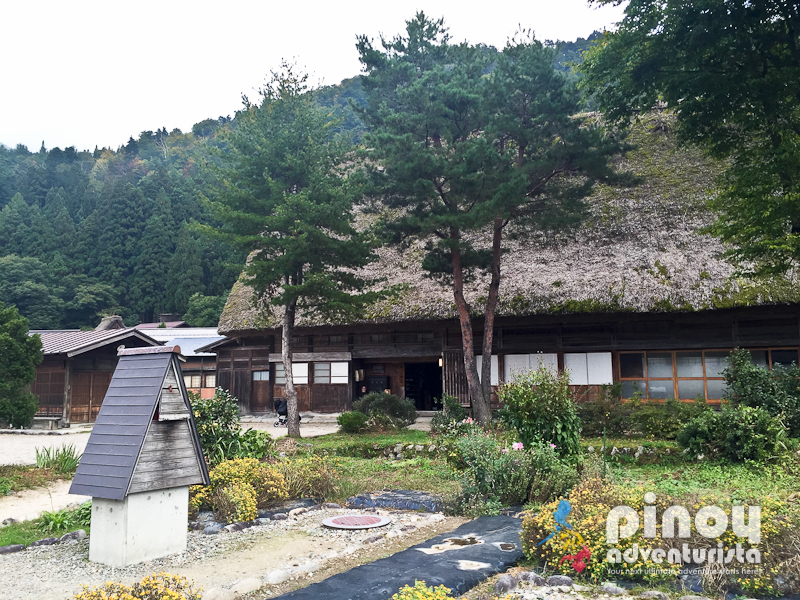 WHAT'S COVERED IN THIS SHIRAKAWA-GO TRAVEL GUIDE BLOG? 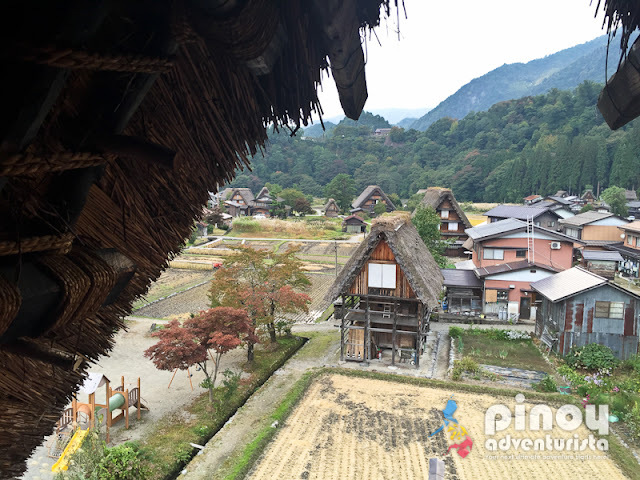 When is the best time to visit Shirakawa-go? How many days to spend in Shirakawa-go? Most of the time, we seek culture everywhere we travel - especially abroad. Isn't it? If you've been following this blog, you'll know that I love seeing old structures and heritage houses. 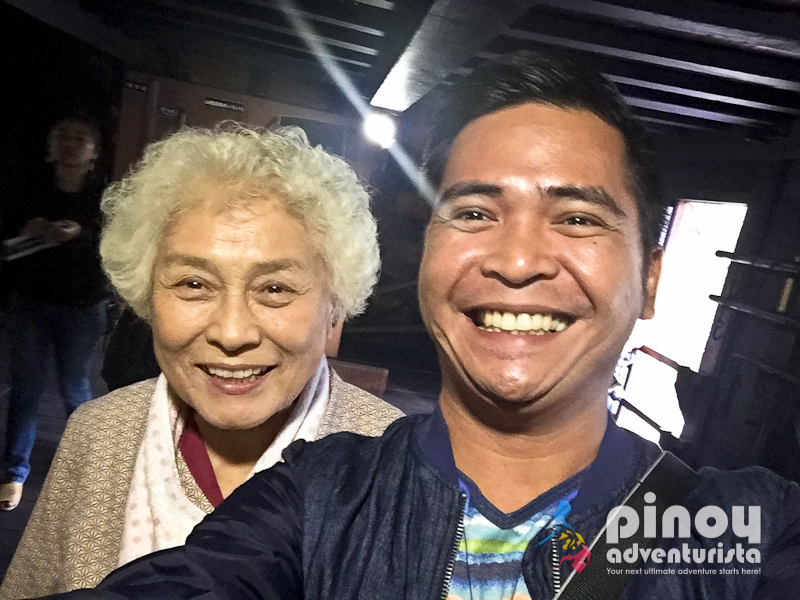 That is why, I am so happy when Cebu Pacific told us that part of our itinerary on our Nagoya Japan familiarization tour is a visit to the historic village of Shirakawa-go in Gifu Prefecture, Japan. 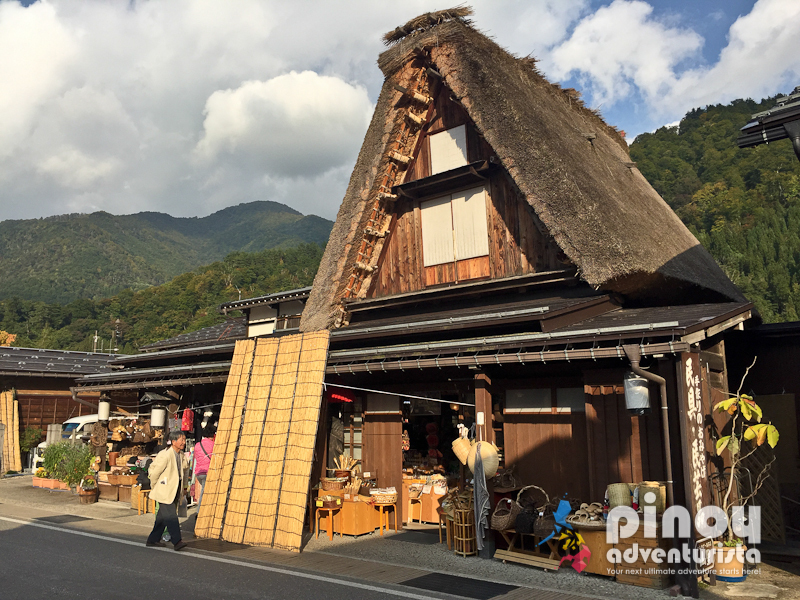 We specifically went to the Ogimachi Village which is the largest village and one of the main attractions of Shirakawa-go Traditional Village. 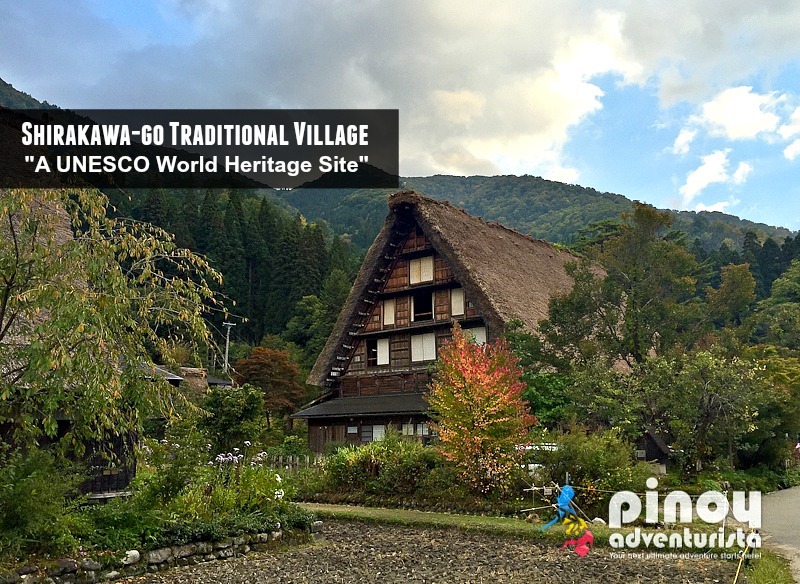 Shirakawa-go is among Japan's most famous UNESCO Heritage sites. 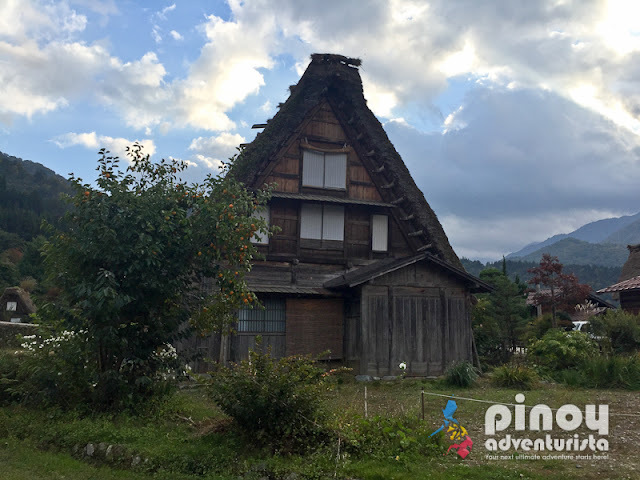 Many tourists come to Shirakawago to see its famed Gassho-style farmhouses that are mostly constructed between the end of the Edo period and the end of the Meiji period. These houses' were built without any nails and has a steep roof (between 45 and 60 degrees) - designed so that snow won't pile up on them in winter. 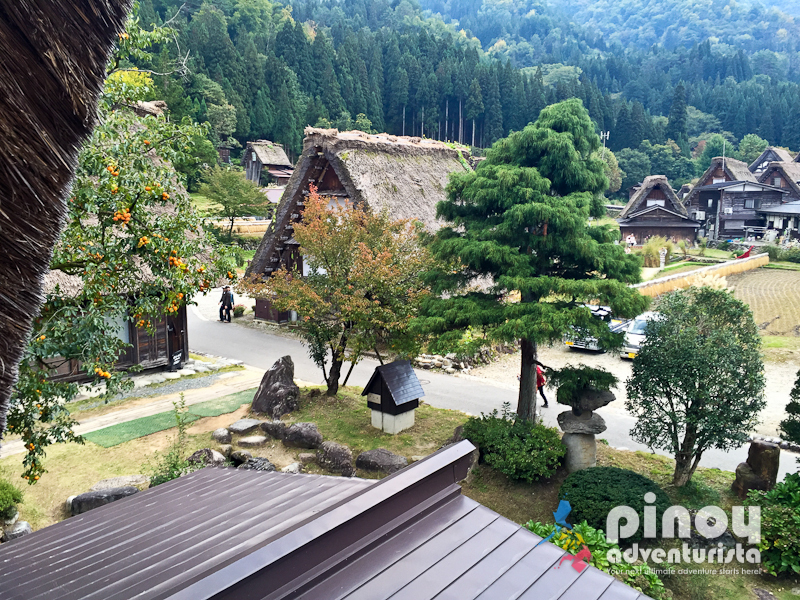 Upon arrival, we first visited the Shirakawa-go Shiroyama Observatory Deck where you could see how beautiful the village is from above. 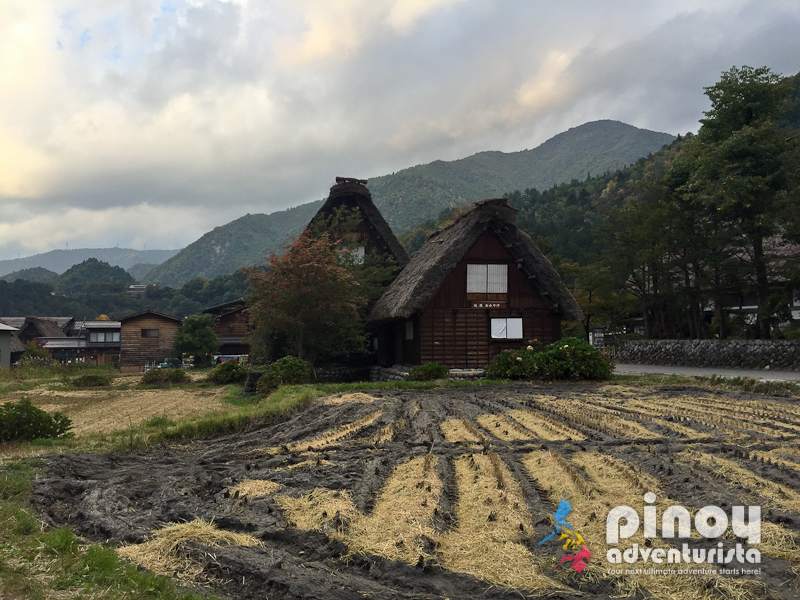 It's definitely one of the best places to admire the absolute beauty of Shirakawa-go. After about 30-45 minutes, we went down to explore the village. Exploring the village by foot is the best way to experience Shirakawa-go. The village is filled with several architectural marvels, museums, historical sites, and breathtaking landscapes. I felt like I was walking on an open air museum as we roam around the village seeing rows of several dozens of well-preserved gassho-zukuri farmhouses. 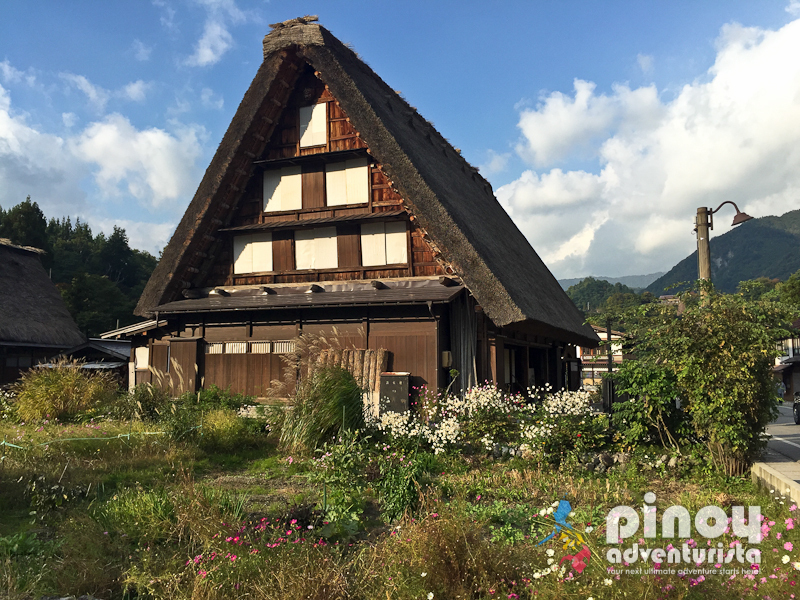 What I loved most during our visit to Shirakawa-go is the chance to enter one of the houses for us to see how they live. One is the Wada House which is 300—year old house and is considered as the largest Gassho house in Shirakawa-go. 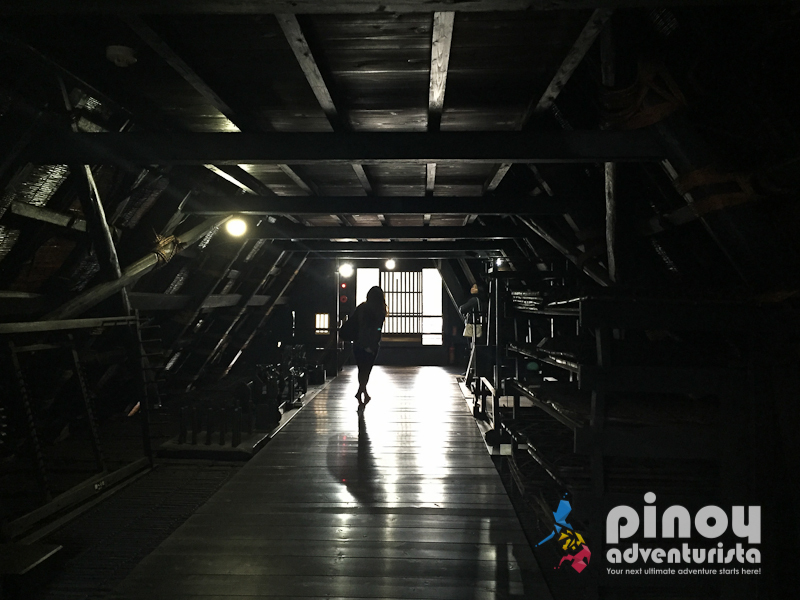 As a museum, we were able to tour the huge house starting from its ground floor up to the attic. The fun part was when we met the owners and they graciously toured us around their house. I even had a selfie! Walking around the village, you'll also see some interesting structures as well as homes with gift and souvenir shops where you could buy some "pasalubong" for your family and friends back home. It is also the best place to try some local delicacies! There are also restuarants. amd some of the shops also sell a variety of local eats. REMINDER: Most of the houses at Shirakawago are private properties and are used until today as residences. Some are open to the public and some are not. While touring around, always ask permission before entering any property. Tone down your voice, and always be mindful that the owners still reside in them. Last year, I went back to Shirakawa-go to experience winter and I am so happy that I did. As a village located in a valley on a mountainous region, it experiences considerable amount of snowfall which makes it a must-visit during the winter season in Japan. It was during our Tokyo-Nagoya trip which we specifically included a visit to Shirakawa-go village on a day tour, with Nagoya as our home-base. From Nagoya, we took a bus using our Shoryudo Highway Bus Pass. Transportation is not cheap in Japan. Using this pass, you can get to enjoy unlimited travel around the Chubu Hokuriku region of Japan which includes Takayama, Shirakawago, Kanazama, Toyama and Nagoya areas. You can choose between 3 - 5 days, but we specifically bought the Takayama 3 Day Bus Pass which gives us unlimited bus rides in Takayama, Shirakawa-go, and Kanazawa Course for 3 days. It also includes 1-way trip between Nagoya and Chubu Centrair International Airport (via rail or Centrair Limousine). Using this pass is definitely one of the most economical way to explore around Takayama, Shirakawa-go, and Kanazawa areas in Central Japan. I highly recommend that you get this pass to save a lot on your transportation expenses. BOOK AND RESERVE A SHORYUDO BUS PASS HERE! Visiting Shirakawa-go Village during winter is totally different and one-of-a-kind experience for me. It's my first time to experience winter which I only dreamed of when I was a kid. We enjoyed walking around the village while admiring the farm houses enveloped in thick snow. Although we didn't experience snowfall, just the experience of being there and playing with snow in a UNESCO World Heritage Site, it such a wonderful experience that I will treasure for the rest of my life. 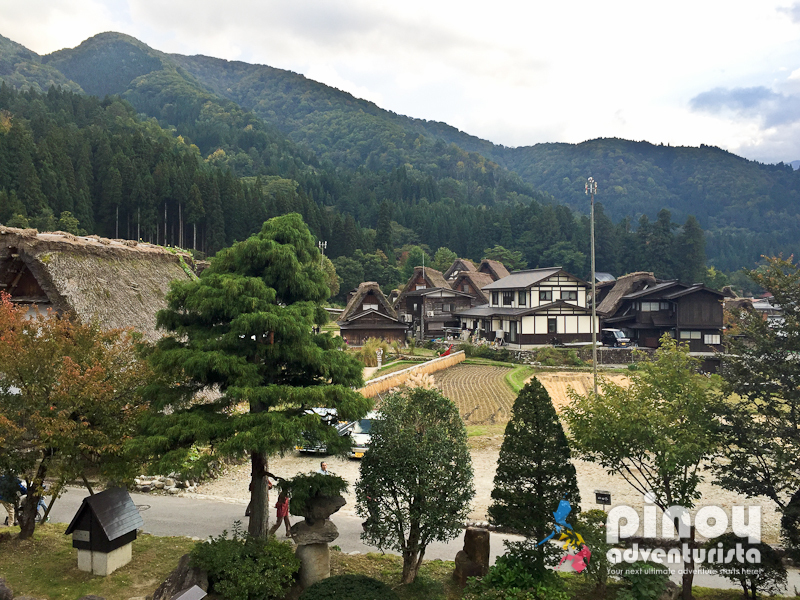 From the village, we also took a short shuttle bus ride to the Shirakawa-go Shiroyama Observatory Deck where we witnessed a magical and panoramic views of the gassho-style houses and its surrounding mountains. It's like a postcard right in front of me! 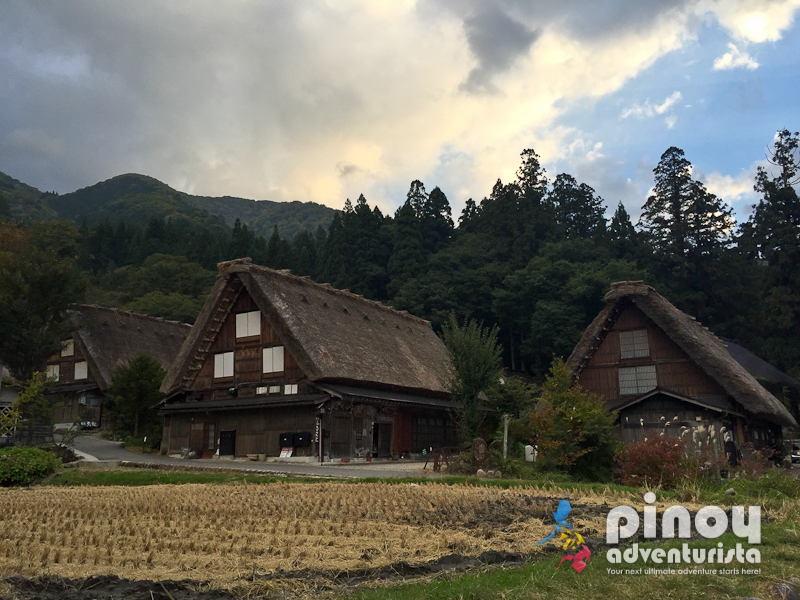 Don't miss this when visiting Shirakawa-go. 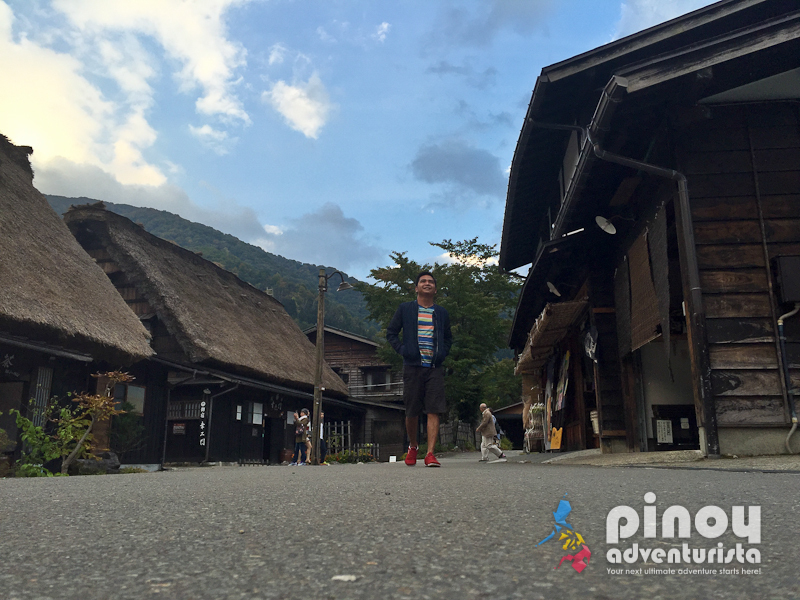 Shirakawa-go is definitely a must-visit UNESCO World Heritage Site in Japan! 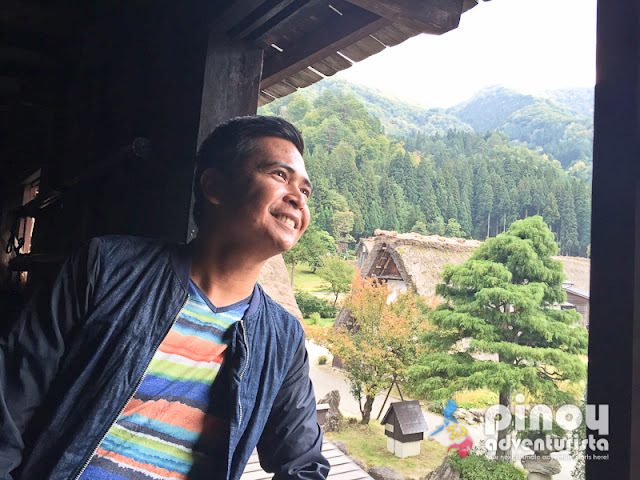 Our Shirakawa-go winter experience is certainly one of my best trips ever and I'm glad I went back to experience winter at Shirakawa-go! 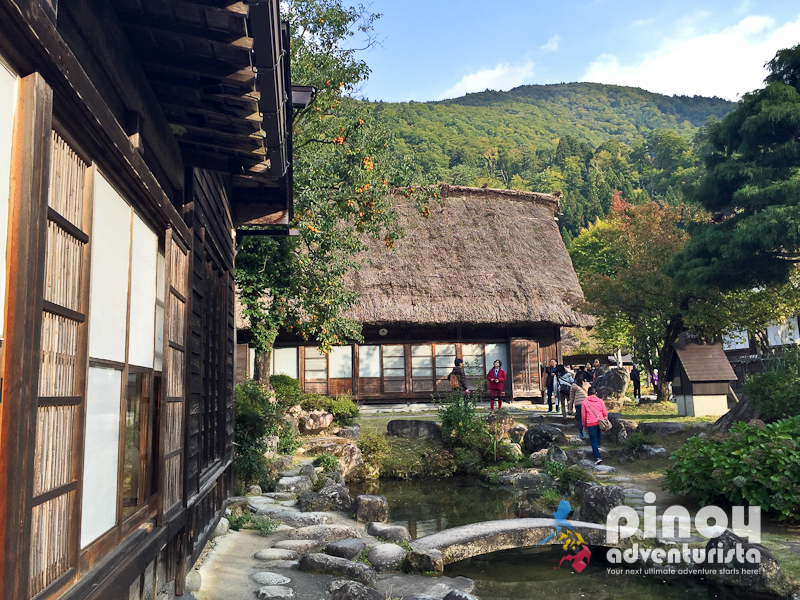 For ease and convenience, you can book a Shirakawa Village and Takayama Day Tour from Nagoya. Japan enjoys 4 distinct seasons: winter, spring, summer, and fall. Although, you can visit Shirakawa-go all-year-round, for me the best time to visit it is during winter time. Having been there during autumn and winter, there is really nothing more than spectacular than see the whole village covered with thick snow. But if you wish to visit it in other seasons, I think the village is also lovely with autumn leaves or cherry blossoms. You can visit Shirakawa-go on a day tour coming from Nagoya. If you have more time, you can visit it for 2 days along with Takayama Village and another UNESCO World Heritage Site Gokayama Ainokura. Or a combined Shirakawa-go-Takayama or Shirakawa-go-Gokayama both on day tours. 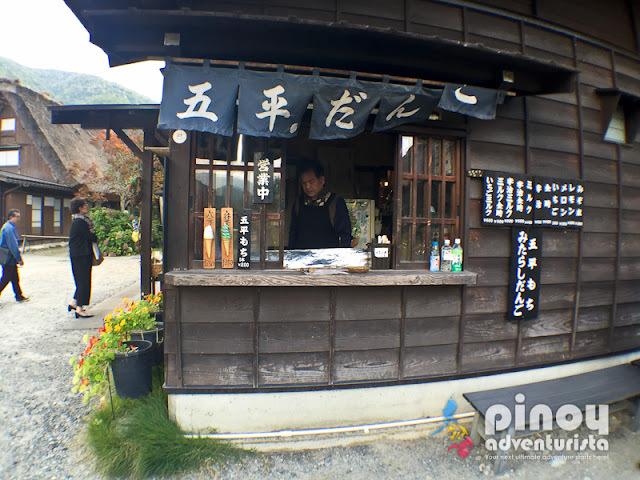 You may refer to the sample Shirakawa-go itineraries below. A visit to Shirakawa-go is an ideal day trip from Nagoya to Takayama or a stop on the bus journey if you're traveling from Takayama, Gifu Prefecture going back to Nagoya City. Here are some itineraries that you could join or follow. Joining a group tour is one of the most convenient and hassle-free way to explore Shirakawa-go Village and Takayama from Nagoya. 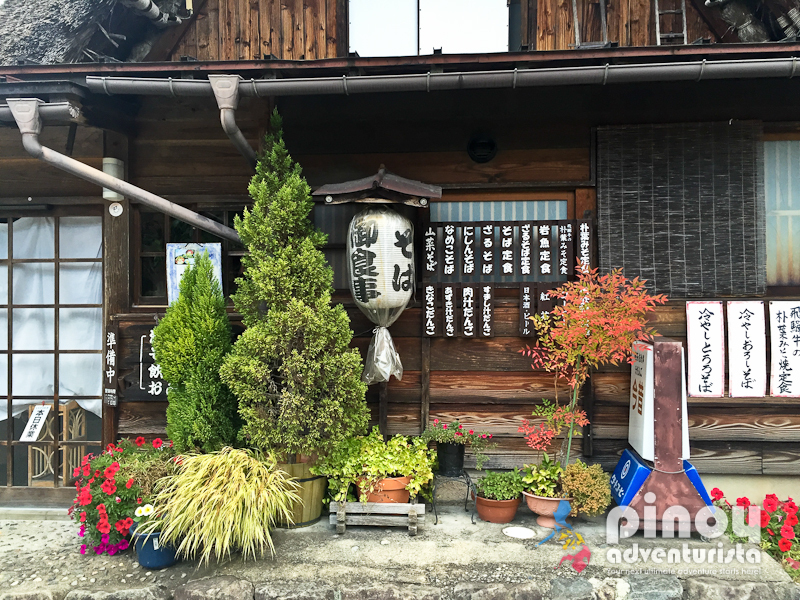 Good things that Klook offers this packaged tour that includes roundtrip bus transfers (Nagoya-Takayama-Shirakawa-Nagoya), lunch buffet, admission tickets, tourist maps and brochure, a Japanese guide, and an English speaking staff for basic information. 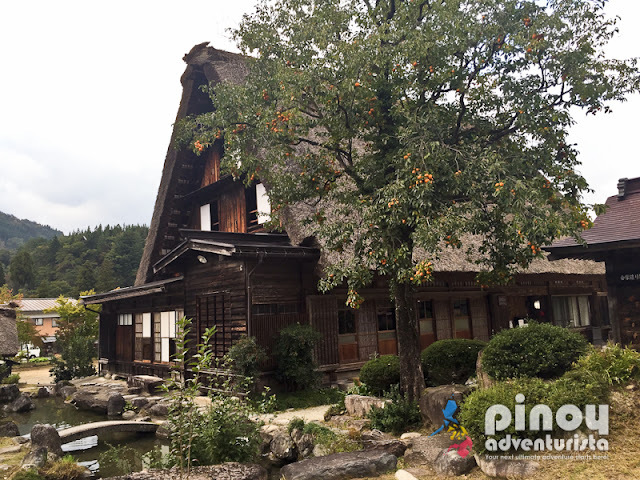 BOOK A SHIRAKAWA AND TAKAYAMA TOUR HERE! 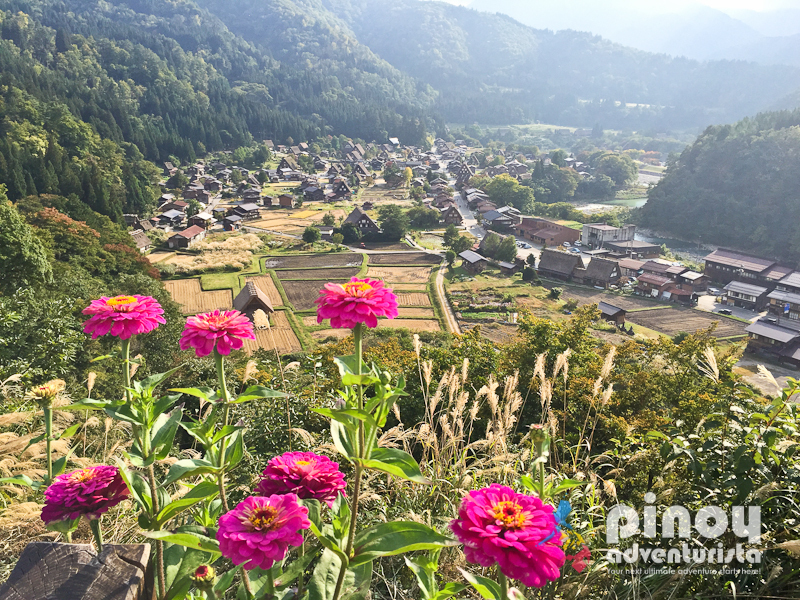 Another option is to visit the two historic mountain villages of Gokayama and Shirakawago in a convenient bus tour. The tour package includes bus transportation, lunch, Shirakawago Village and Gasshozukuri Minkaen Outdoor Museum admission, and English speaking guide fee. BOOK A SHIRAKAWA AND GOKAYAMA TOUR HERE! From Nagoya, go to the bus station and take the Meitetsu bus going to Shirakawa-go Village. Travel time is around 3 hours from Nagoya and the bus stops right at the tourist information center at the entrance of the Shirakawago Village. This is what we took to get there using a Shoryudo Highway Bus Pass. I highly recommend that you get this pass to save on transportation expenses. Take the JR Shinkansen train bound for Nagoya from Shin-Osaka Station in Osaka. You could take the Shinkansen trains Nozomi, Kodoma, or Hikari. If you're using a JR Pass, you can take the Kodoma or Hikari trains. Reserved seat is around 3,200 PHP or 6,600 JPY and non-reserved seat is around 2,800 PHP or 5,800 JPY. Travel time from Osaka to Nagoya is around 1 hour. Upon arrival at Nagoya Station, walk to Meitetsu bus ticketing office and buy a bus ticket to Shirakawa-go via Gifu. Bus fare is around 1,900 PHP or 3,900 JPY. To save on travel expenses, I highly recommend that you get a Shoryudo Highway Bus Pass. This will save you a lot on transportation expenses. 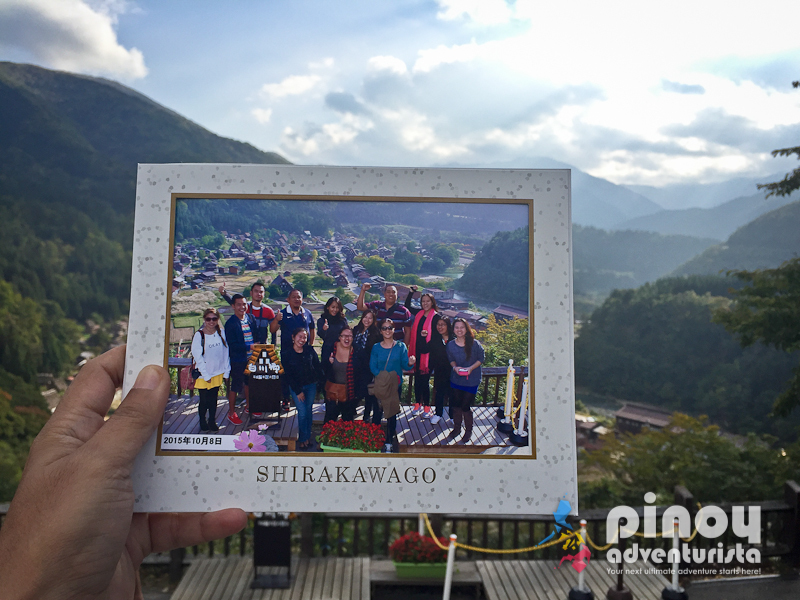 Travel time from Nagoya to Shirakawago is around 3 hours with 2 stops. 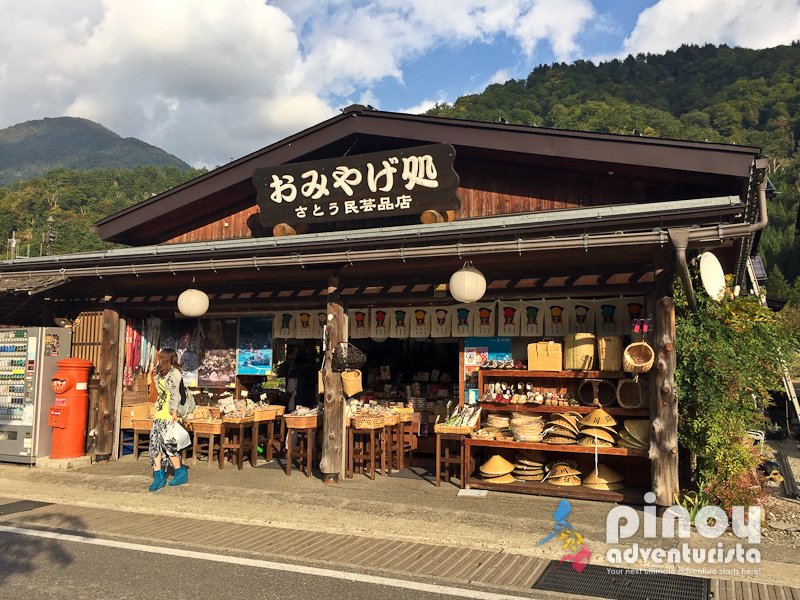 It will bring you directly to Shirakawa-go tourist information center which is just a short walk to the Shirakawa-go Village. Upon arrival, be sure to go first to the tourist information center to ask for the bus schedule and reserve a seat on the bus going back to Nagoya. To get to Shirakawago from Takayama, go to Takayama Nohi Bus Center and buy bus tickets for around 1,100 PHP or 2,400 JPY. Take the Nohi Bus bound for Shirakawa-go and alight at Ogimachi Bus stop in Shirakawa-go. You can also use your Takayama 3 Day Bus Pass (Shoryudo Highway Bus Pass) when traveling from Takayama to Shirakawago. Go to Kanazawa Station's bus stop #2 at East Gate bus terminal and take the Hokutetsu Bus that runs regular highway bus service to Shirakawa-go. Travel time takes about 1 hour and 20 munites from Kanazawa to Shirakawa-go and one-way bus fare is around 885 PHP or 1,850 JPY. Coming from Tokyo, you may take the Shinkansen train to Nagoya and then follow the steps above. If you're on a budget, you may also take the overnight bus from Tokyo to Nagoya via Willer Bus. Travel time takes about 6 hours from Tokyo to Nagoya and bus fare is from 3,000 - 4,000 JPY depending on the date of your trip. You can book bus tickets thru the Willer Bus website. Buy a Takayama 3 Day Bus Pass (Shoryudo Highway Bus Pass) for only ₱ 3,597 at Klook.com. This will save a lot on travel expenses. If you buy your tickets at the bus station it's already ₱ 1,900 pesos per way from Nagoya to Shirakawa-go. That's ₱ 3,800 pesos for a roundtrip bus fare! But if you have a 3-day Takayama Shoryudo Bus Pass, you only pay ₱ 3,597 and get to explore Takayama, Shirakawa-go, Kanazawa on unlimited bus rides for 3 days plus a one-way transfer to the airport. That's a lot of savings compared to buying your tickets at the bus stations. 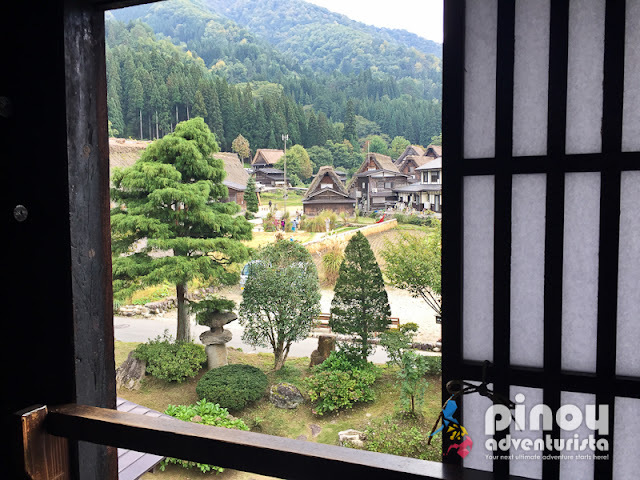 Here are some of the top-rated hotels, guesthouses, and inns near Shirakawa-go, Takayama and Nagoya with excellent to exceptional guest reviews and ratings. Book one of these in advance and save as much as 45% off in published room rates if you book in advance! Nagoya is the gateway to Gifu if you're coming from the Philippines. Cebu Pacific Air, the leading airline in the Philippines, flies between Manila and Nagoya (Chubu Centrair International Airport) every Tuesday, Thursday, Saturday and Sunday. Book your flights through the CebuPacificAir.com. For updates and seat sale announcements, check out www.facebook.com/cebupacificair. 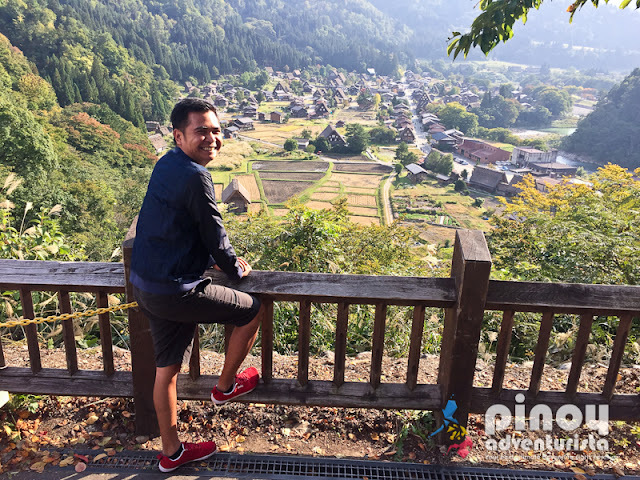 Thank you Cebu Pacific Air for bringing us to Gifu Prefecture during Autumn and for giving us the opportunity to see one of 19 world heritage sites in Japan. 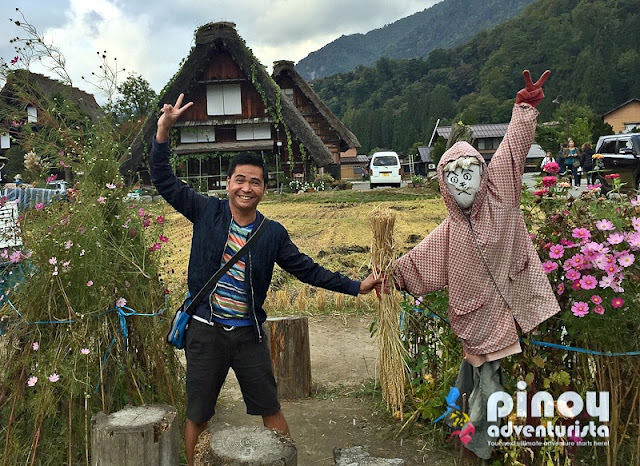 NOTE: Our Shirakawa-Go autumn experience happened during our Nagoya Familiarization Tour last October 6-10, 2015 and was organized by Cebu Pacific Air. Thank you for inviting me to be part of this trip!